Are you ready to bid a fond farewell to the likes of 'Bobby Bottleservice', the ladies of PubLIZity, 'Dr. 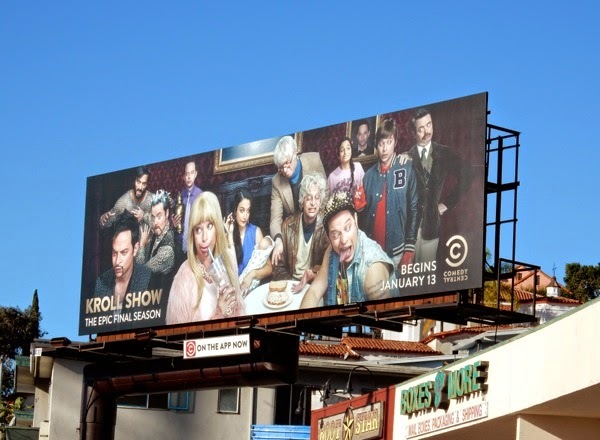 Armond' and the many more faces of Nick Kroll as his comedy sketch show comes to an end with its epic third season. 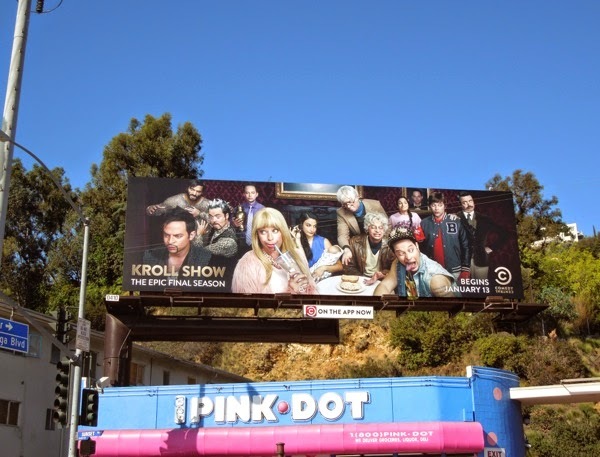 This final season three billboard featuring all your favourite Kroll Show characters was snapped along Sunset Boulevard in West Hollywood on December 22, 2014. 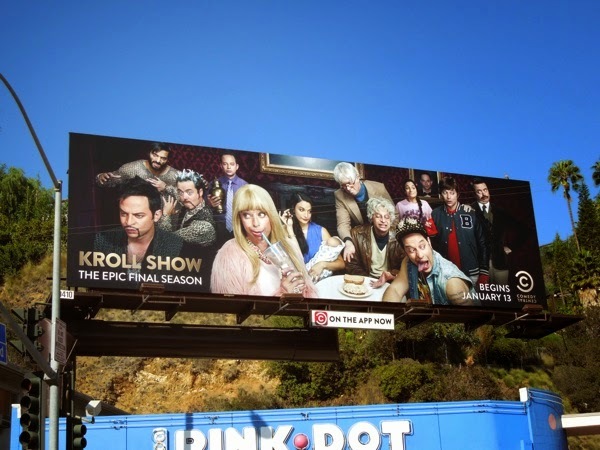 If you're a fan of the comedian and his Comedy Central hybrid of a sketch and sitcom series, be sure to also enjoy these billboards for season two of The Kroll Show and the hilarious season one canine plastic surgery parody billboard. Let's hope the series goes out on a high as a lot of characters and their stories reach their natural conclusion, better to go out laughing than to drag out the concept for another less funny season. UPDATED: Didn't realise until someone pointed it out, but this billboard was inspired by and is an homage of The Sopranos season four promo poster.